I've been pretty curious about them too. I wonder if any lead to Evercity . . . Doubtless they will be opened in the 2nd season. I really hope we get to go to Academy Atomicus in the 2nd season!!! If you were designing the map how would you do it? @Hans_Oddcraft, you're a programmer. I would like to see how you would answer this question. If you were designing the Aetherlight map, what would you put behind those locked gates? I believe that the unknown is often better if you do not speculate beforehand. I’m curious to see what you think lies behind those gates, Eerie. As for the rest, I haven't the slightest clue. Ooh! I wonder if the gate in the screenshot above is going to be another way to get to Jefferson's Camp! It points in that direction. The Snowmoors are far too great a distance from No Man's Landing. The cogs are magic! They will go anywhere!!! I think that one leads to Evercity, no... that wouldn't work, Evercity is the direction of the Old Mount. 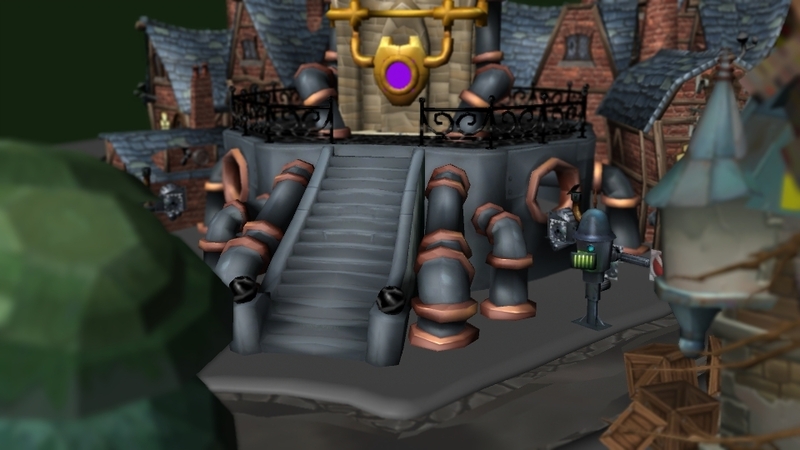 There is a gate in town square headed roughly in that direction. That's a great picture, @Mr_O1! @Hans_Oddcraft did a picture very much like that! That is a truly incredible picture. But, how did you get it @Mr_O1?